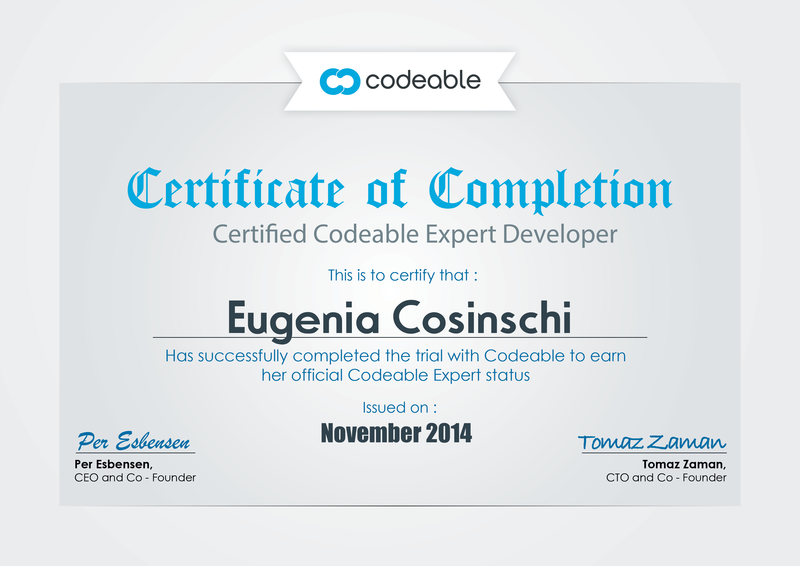 I’m Eugenia Cosinschi, a WordPress developer, and I’ve been building websites since 2005. Eugenia is always right on point, over-delivers with her expertise and is very easy to work with. I love how she also sees greater possibility by sharing ideas to make my site and work more efficient and effective. Eugenia is always the one I look for when I come to Codeable. Eugenia is everything you'd want in a developer -- high-quality work, fast, and very understanding. Will be hiring her again for sure. Simply put-Eugenia is the best!She was able to accomplish everything we asked of her and more. If you are looking for a coder who will work work quickly, efficiently and produce an exceptional work product, you will find none better. We are already planning to use Eugenia again for a coding project that we have planned for later this year. Excellent job! Pleasure to work with. She's fast and accurate. Love working with Eugenia! Eugenia is terrific. She delivered exactly what we were looking for on the first pass. Great communication, fast turnaround time, and has depth of knowledge with all things Genesis. We look forward to working with her again. She was great on all accounts! Quick and good as ever! Eugenia works fast, is highly responsive, and communicates very clearly. Overall, a pleasure to work with.